Add a contemporary touch to your patio or lounge, with this attractive Acapulco bench. With inspiration drawn from a classic retro 1950s central American design, this bench will create a retro feel in any garden. 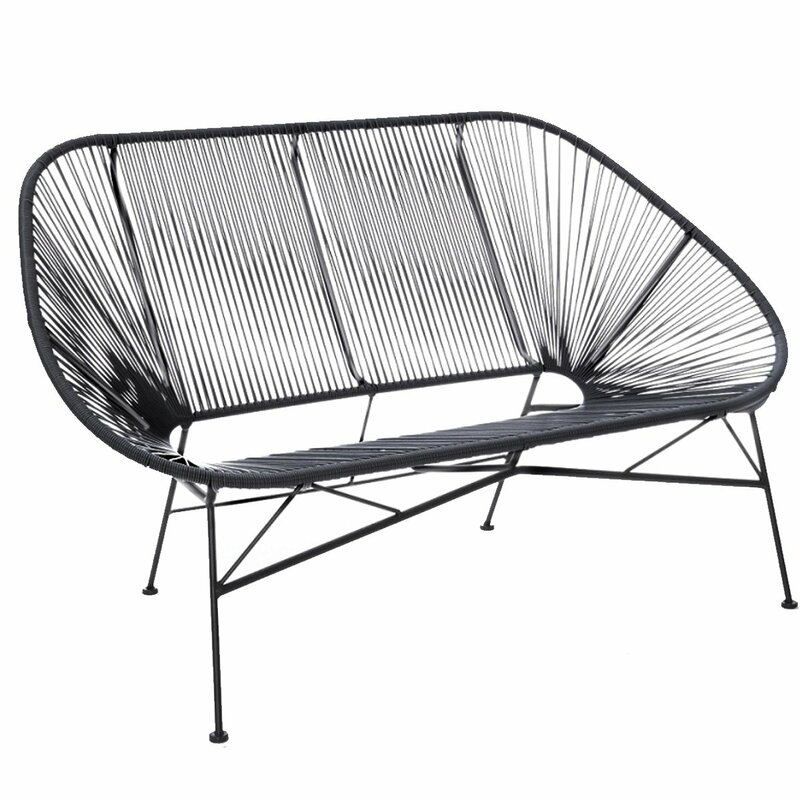 Crafted from a hard-wearing powder coated steel and rattan frame and, this bench is weatherproof and can withstand the elements. Available in a choice of two colourways, this retro acapulco bench will provide a comfortable place to relax and will complement any living space.